Living on an airport, we see a lot of interesting things that pilots do. Although there are a couple that continue to baffle me, let me share one that is on my mind today. We'll call it the airport tip of the day. 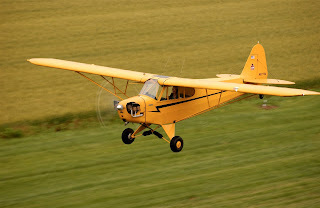 When I transitioned into a tailwheel airplane, the first place I was taken was to a grass runway and I was taught to 'drag the field' - flying slower over the runway at about 25 - 50 feet to make sure that all it was 'clear and suitable'. Does anyone teach this anymore? Well, we are today! If it really was Lee Bottom International, hearing this radio call on the Unicom might seem normal and acceptable: "I'm on a 5 mile straight in approach for 18". 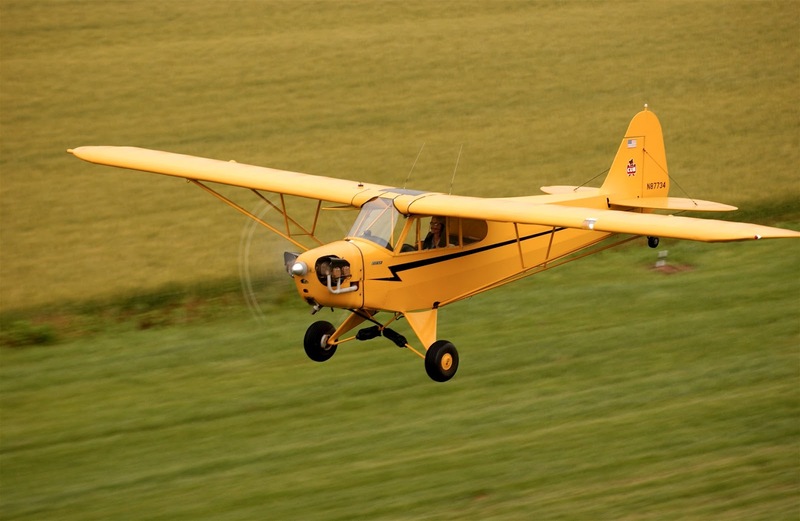 But, Lee Bottom is a small grass runway in the middle of nowhere USA where it is common to see deer, turkey, coyotes, and even an occasional mountain lion in the area. I am amazed at the pilots who will announce they are doing a 5 mile straight in final (or any straight in final for that matter). While this might not seem unusual at an airport with an instrument approach, I wonder how these 'straight inners' know the runway is clear and suitable for landing from 5 miles or even 1/2 mile out without looking first? Remember, an airplane encountering wildlife at an airport can cause considerable damage to your plane and maybe even you. Either way, it can ruin your day! That said, another thing you might encounter is one of us or a volunteer mowing the runway with hearing protection. Although we always try to be vigilant on keeping tabs on traffic, the common etiquette is to do a low pass (not scalp them) so they know you are there and wanting to land. Never should we find you rolling out beside the mower (unless it is an emergency). We strongly encourage those landing at Lee Bottom to fly the entire traffic pattern so that you can get a good view of the airport environment prior to landing. We also highly encourage you to drag the field before landing during non-event time frames to see what is really going on. Wildlife isn't always there, but there's always a chance. One other thing; dragging the field doesn't mean flying 25 feet off the ground until you reach the trees and then yanking the stick (yoke) back and giving full throttle causing you to go straight up. Let's use some common sense here and make it all safe! Furthermore, the majority of our neighbors live off the end of the runway, their friendly, and we want to keep them that way. We work long and hard to provide a safe environment for you, the pilot. However, we can only do so much with the rest being up to you. We've had a few 'close calls' with wild life but continue to have a good safety record in this regard. With your help, we can keep it that way. But there's something else. If we hear you dragging the field prior to landing, we have time to get on our shoes and come out to visit when you do land. Rich, Love it! Don't folks always check out the surface? Not too many years ago, I was flying Dc-9's for an air freight company here in Michigan. We hauled a lot of material from Sherbrook Ontario (CYSC). Daytime was a no brainer, however, come night...we'd call the FBO when about 10 minutes out, he'd fire up his pickup, go to the approach end of the runway and await our call on downwind, then drive the runway with his siren and lights blinking, he'd call if all clear or tell us we better fly around a bit if some critter didn't wish to move. IFR was another bit of coordination as well. It worked cuz I never had a runover or animal hit my DC-9.